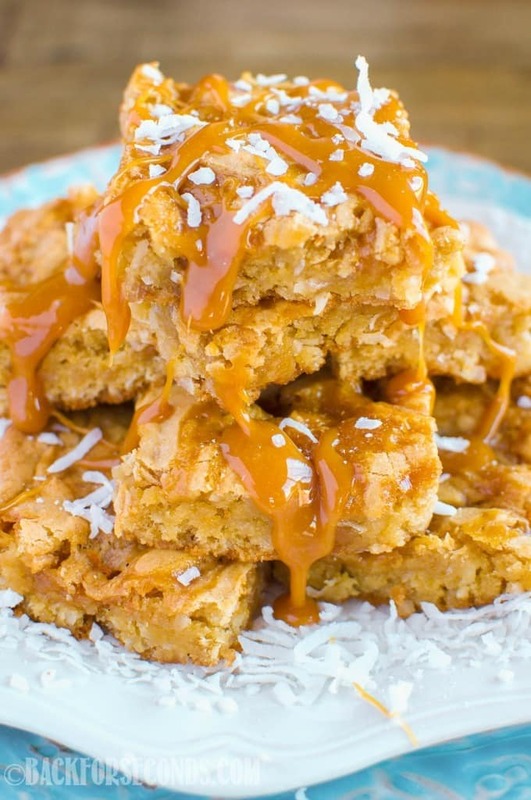 Caramel Coconut Blondies are an easy dessert that will tickle your taste buds! 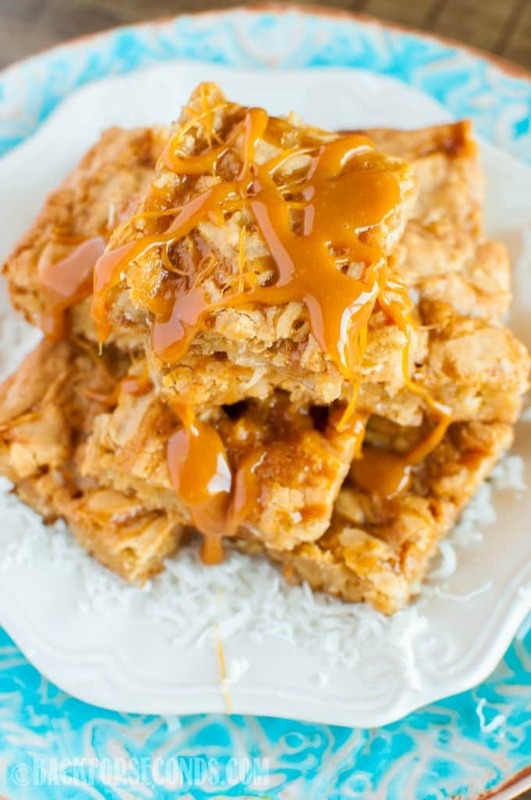 Chewy blondies are loaded with coconut, and swirled with ribbons of caramel! There is something completely irresistible about these blondies. Maybe it’s the warm, buttery, caramel scent that wafted through the air, and filled the house as they baked. Or maybe it’s the chewy texture of the coconut combined with gooey caramel in these soft, chewy bars. Ok, it’s all of those things! These are simple to make and oh so dreamy! 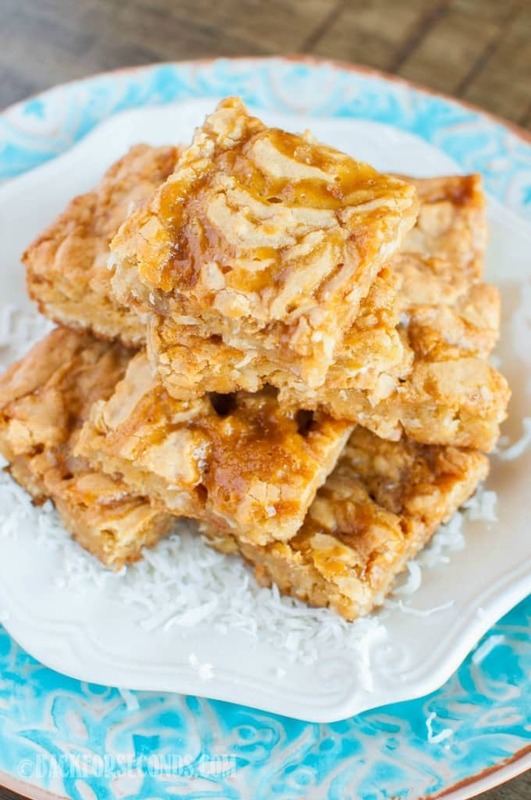 These blondies remind me of Samoas Girl Scout Cookies, but without the drizzle of chocolate. One of my boys is not a big chocolate lover, so I have to force myself to bake without it sometimes. 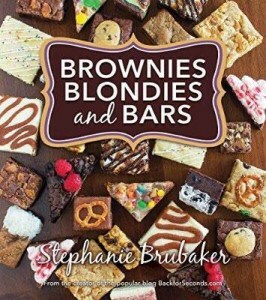 He loved these blondies – we all did! They are amazing fresh from the oven without any extra toppings, but if you are in the mood for an extra decadent treat, go for the toppings! If you are like my twins and adore all things caramel, you are going to love these! Also check out these super easy Chocolate Caramel Gooey Cookies, these killer Salted Caramel Turtle Brownies, and try making your own Easy Homemade Caramel Dip!